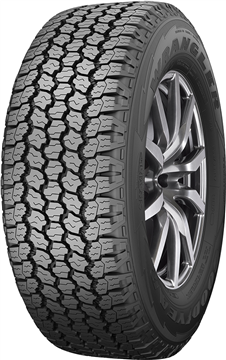 The Goodyear Wrangler All-Terrain Adventure is a versatile tyre that springs into action the moment you go off-road. 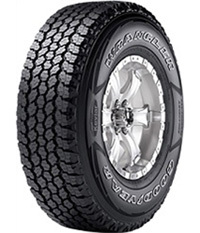 This tough and durable tyre offers a confident all-round performance and grips all kinds of terrain without trouble. Manufactured with a Kevlar reinforced layer and DuraWall technology means that this tyre has the ability to resist punctures and cuts in the sidewall area. Its optimised tread design results in pressure being evenly distributed, meaning that mileage is improved.